There's no doubt that now is a good time to learn iOS development. The Apple Store may not get as many downloads as Google Play, but it's generating twice the revenue...and showing no signs of slowing down. Get it on it, and learn how to turn your app idea into a hit. 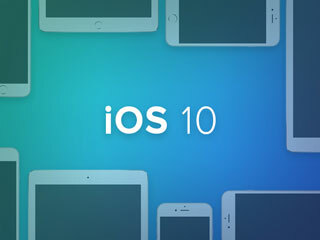 We've got the Complete iOS 9 & 10 Development Bundle for $35 at Escapist Deals. You'll get two can't-miss courses in iOS 9, iOS 10, and Swift. The top-rated instructor will take you through every step of building an app, including adding buttons, reactive interfaces, images, music, search capabilities, and more. You'll even learn how to make clones of top apps like Instagram, Tinder, Uber, and more. Did we mention that you get all of this content for life? Start creating your hit app today. Get the Complete iOS 9 & 10 Development Bundle for $35 at Escapist Deals.